Rising high above the vast plains of Mara Nabosiho, the Leopard Hill is a perfect spot to watch the beautiful sunrise or sunset over the savannah. The views from the edge of the hill are amazing as the Naboisho plains stretch out before you and merge with a distant horizon. You can also easily see the Leopard Hill camp which is just a stone’s throw away from the hill. In the olden days, the hill was widely known to be the leopard’s territory. A group of leopards made the hill their home and that is where it derived its name from. Besides being a camping ground for the leopards, elephant herds, plains game, cheetahs were also spotted on regular basis. The Maasai who lived nearby considered this hill their shrine. They used the hill as a place where they conducted their prayers and offered their sacrifices. The warriors would also use the hill as a viewing point to watch animals when they went out to hunt lions. By tradition, no human activity was allowed to take place at the hill including cutting down of trees, collecting of firewood or children using the hill as a playground. Any human activity conducted on the hill was viewed as a sure way to welcome ruin to a person’s life. The leopards are now gone, so it is safe to walk or hike up the hill and enjoy the same beautiful scenery over the Naboisho plains just like Barack Obama did in 2006 during his visit to Masai Mara. 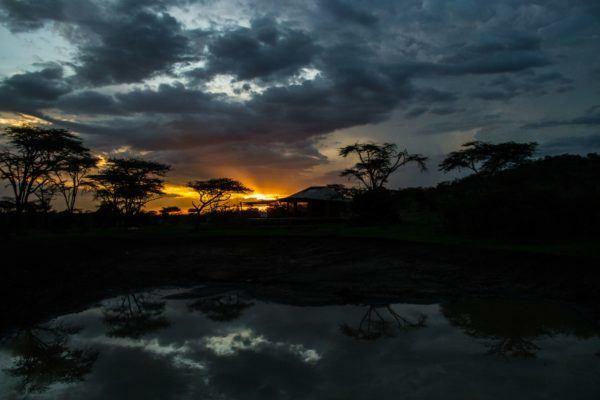 This region is more remote than the famous Masai Mara Reserve, the perfect destination for anyone looking for an opportunity to get away from it all and just have time to relax in the wild.